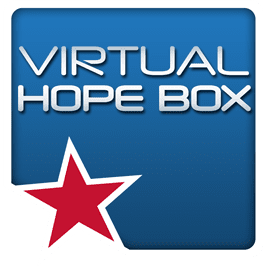 Virtual Hope Box is a multi-media coping skill app designed for individuals struggling with depression (particularly military service members). The four main features of Virtual Hope Box include sections for distraction, inspiration, relaxation, and coping skill options. The distraction techniques include games that require focus, like Sudoku and word puzzles. The relaxation techniques offer a variety of guided and self-controlled meditation exercises. The coping techniques offer suggestions for activities that reduce stress. The inspiration section offers brief quotes to improve mood and motivation. The app can be used in collaboration with a mental health provider through the “coping cards” feature, which can be programmed to address specific problem areas. The relaxation tools can also be used with a clinical professional or other meditation partner, if desired. Virtual Hope Box has been evaluated in three randomized control trials under the US Department of Defense, all of which have found that the app can decrease feelings of stress and anxiety in individuals experiencing symptoms of depression more significantly than a control symptom-tracking condition.